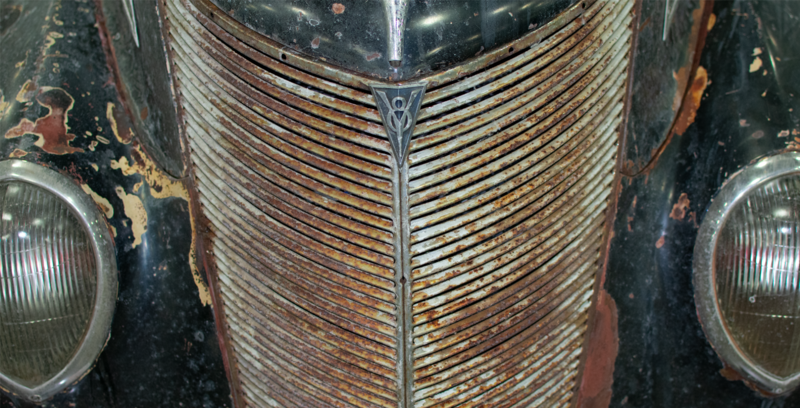 Mind the Gapp – Page 19 – 'Heart of Gold’ put me in the middle of the road. Traveling there soon became a bore, so I headed for the ditch.” – Neil Young, comments written for the liner notes of his 1977 compilation, Decade. 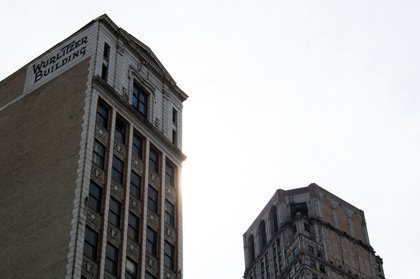 Hands down The Wurlitzer is one of my favorite buildings in Detroit. See here for a map. The Wurlitzer sits beside the Metropolitan and just around the corner from the David Broderick Tower (see the last image…building on the right). 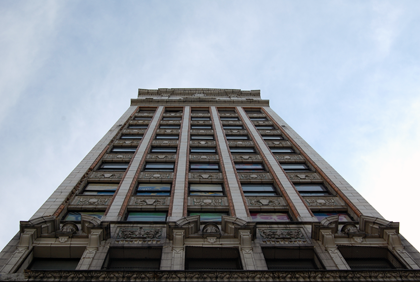 The Wurlitzer was built in 1926 and has 14 floors. I should also note that the top story looks right into Comerica Park. What a great place for an apartment! The facade of the building is just gorgeous. The design looks to be almost Greek influenced and I want to say that it is done in a Terra Cotta but I’m not sure. The picture above shows some of the detailing that went into the building. Looking closely at the building it is apparent that it is slowly falling down. Bits of the lattice around the windows are gone and at the top it appears that the stonework is loose. What makes the story even more disappointing is that the area around the building includes the Detroit Opera House, The YMCA (beautiful building), The Detroit Beer Company and several funky little businesses. I’ve heard several stories about this building and all of them are reflect the past 30 years of Detroit history. Sad.﻿ In the end it will probably get knocked down and the ornamentation added to a architectural scrap yard to be picked over. Correction: The building is done in the Renaissance Revival style according to Wikipedia. See here. On a typical Saturday in the summer I will get up and wander down to Eastern Market in Detroit. Eastern Market is an open air Farmer’s market in Detroit that has been around for quite some time. 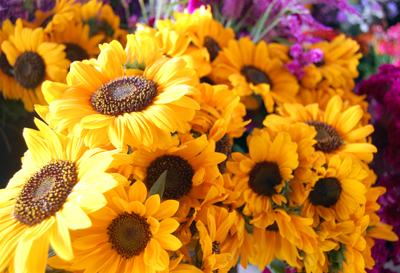 It’s a great place to pick up some flowers, fruits and veggies and do some people watching. Eastern Market is one of the places that is a gem for Detroit. The Eastern Market folks have been renovating the sheds and doing a bunch of other work that is starting to pay off. Learn more here. Now, for all that Eastern Market has going for it…it is in Detroit and that scares some people away. In my reverse thinking I thought I would make a project of wandering out from Eastern Market and see what I could see. When I first saw the church I thought “Wow…that’s a cool church”. 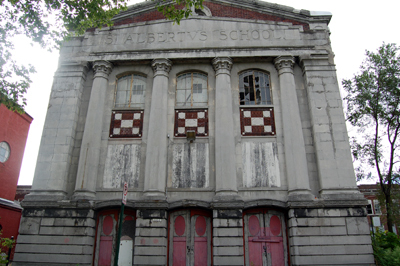 St. Albertus has the main church and then a boys school attached as well. 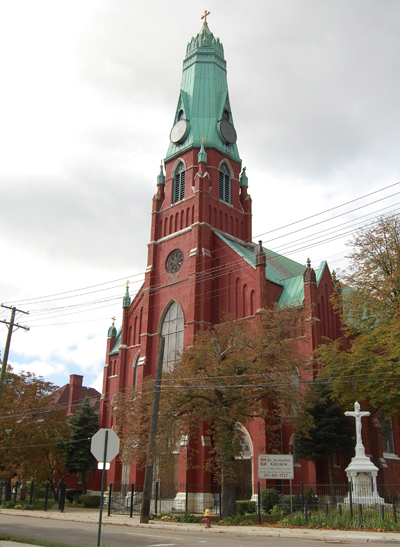 With a little digging I discovered that the church was the first Polish-American Catholic church in Detroit. The building seen below was built between 1883-1885. Apparently it takes its design from churches found in Prussian Poland. Now, I could leave off here. However, I think that INTERIOR shots of the Church are absolutely amazing. Check out this link on Flickr here. The Catholic Archdiocese of Detroit closed the church in 1990 in a cost-cutting effort and a group of parishioners took up the cause. Flowers at Eastern Market, Detroit, MI. This is from Eastern Market in Detroit, MI during August. Thought I would post it on a cold day. Had a lot fun at the Boyne run. 8:36 pace. 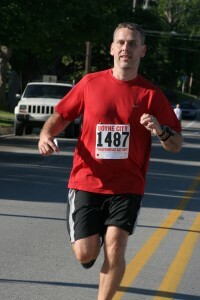 Here’s a link to the action shots. Next up? 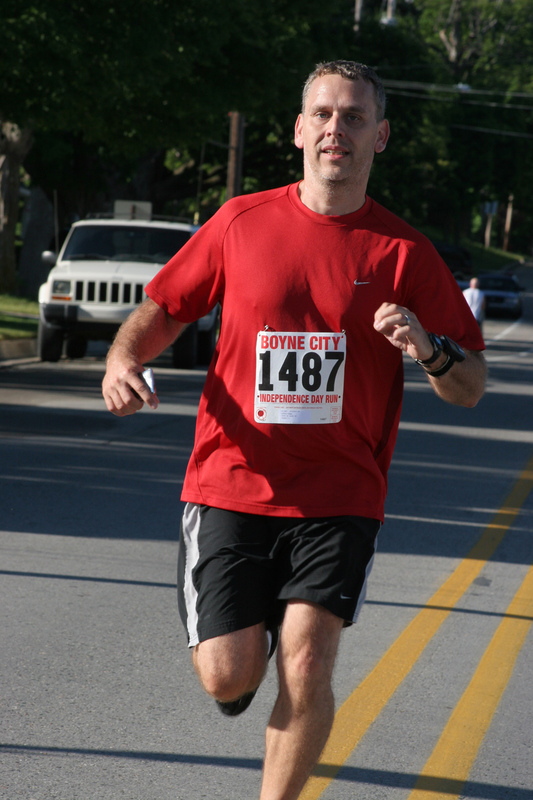 Heart of the Hills run in Bloomfield Hills. Here’s the link to the site.